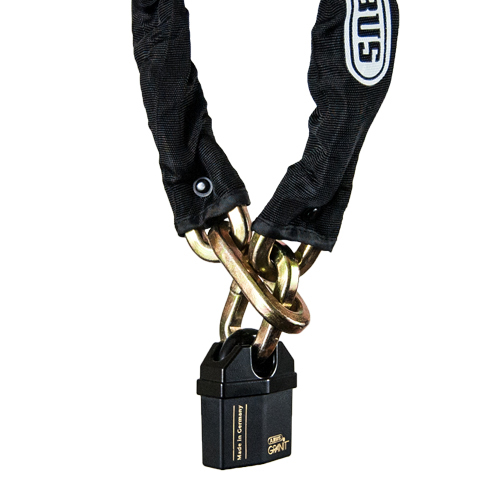 Abus' security chains are ideal to for use on high-value items that can't be secured with a common lock. The chain is made from hardened steel and features a special anti-corrosion coating which makes it ideal for outdoor use. Abus' security chain promises top security against all types of aggressive attacks. The links are not round like on common chains, but are square-shaped, which make them even more resistant to cutting with conventional bolt cutters. 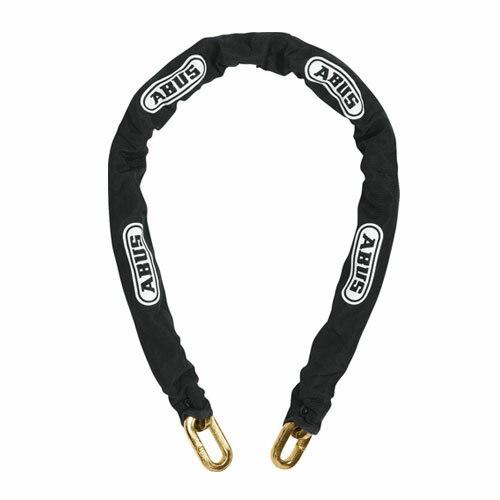 Included with each length of chain is a fabric chafe sleeve that prevents sensitive items from scratched or damaged by the chain. An elongated link on one end of the chain makes it possible to slip on end thru the other, as shown in the photograph above. 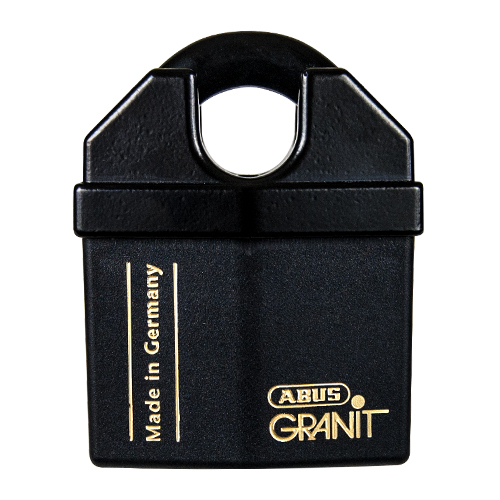 Please note, this type of setup is achieved only by using a proper padlock, such as the Abus Granit 37/60. This chain is 1/2" (12mm) in diameter, the same as other popular security chains we offer, including Pewag's 1/2" #56847 and Pewag's 1/2" #3012. This is a true, high-security padlock that works well with Abus' 3/8" (10mm) and 1/2" (12mm) security chains--bear in mind this lock works with Abus' chains because the end links are made to slip thru one another (see above photo). However, this lock will not work with standard security chains, including our Pewag security chains. The body and shackle are made from hardened alloy steel. Additionally, the shackle is guarded and protected against cutting attacks. The Granit 37/60 definitely leaves an impression of both quality and durability. This lock is smaller than the larger Abus 37/70 Granit Padlock, but it still feels solid in the hand. It weighs 1.28 lbs. It's a great balance of feeling and looking really solid without being too big or bulky. The body and shackle are made from hardened alloy steel. The Black Granit coating offers high corrosion resistance. Additionally, the lock cylinders can be rekeyed to match an existing key at any point down the road (referred to as "rekeyable"). 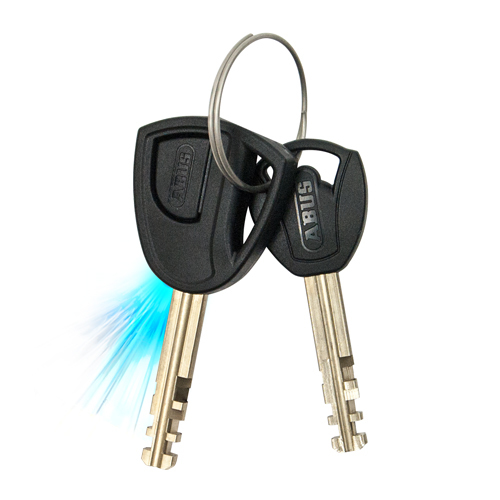 Supplied with two keys, one featuring an integrated LED light for low light conditions.